Werkdiscs recently announced a new working partnership with Ninja Tune, an important step in the evolution of the record label that started first releasing music in 2004. Werkdiscs was founded by Darren Cunningham (Actress) and Gavin Weale with Darren going on to independently direct the label up to now. 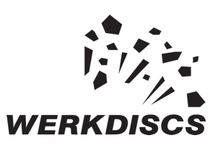 Werkdiscs began in 2004 with the idea of releasing bedroom material by up and coming artists and the label initially achieved a modest following of electronic music enthusiasts. But it was not until albums such as Actress' ‘Hazyville’, Lukid's ‘Foma’, Zomby's 2008 release ‘Where Were You In 92’ and Lone's ‘Ecstasy And Friends’ that the label began to make international noise. At that point to all it seemed the label had ceased production or release of artist's material but after the release of Actress' Splazsh on Honest Jon's, in summer 2010, Darren saw it as the right time to refocus and consider future plans for Werkdiscs. Now, with Lukid preparing to release his third studio album, ‘Lonely At The Top’, and with Actress finishing material for the sequel to ‘Hazyville’, to be entitled ‘Ghettoville’ - that will be released as a double album encompassing both periods scheduled for early next year - the opportunity to work alongside one of the most respected independent UK record labels presents a strong foundation for the next steps in Werkdisc's evolution. This relationship also presents the label with an opportunity to further connect with up and coming artists who are operating today in further cultivating ideas on the conventions of electronic music.